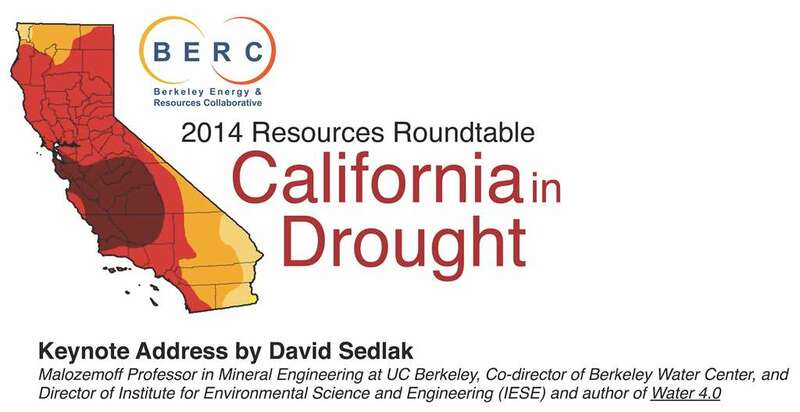 This year, the Resources Roundtable by the Berkeley Energy and Resources Collaborative (BERC) brings together thought leaders, climate scientists, water managers, rights activists and businesses to engage in focused discussions on the topic “California in Drought: Challenges and Opportunities.” The Roundtable aims to understand how responding to water crisis today will help develop resilience for tomorrow. It is a unique opportunity to understand where the frontiers of water research in California lie. This is a student-sponsored event coordinated by ERG graduate students, Zubair Dar (MA), Julian Fulton (PhD) & Daniel Sanchez (PhD), and others through BERC.